Services | Taxes 'N Books, Inc.
We can help you with the tangled web of tax credits, confusing forms and changing tax laws. We enjoy the visit with our clients during their personal interview and complete their taxes at the same time. This way we can answer questions, ensure accuracy of the tax return and tax plan for the year to come. No tax return is too small or uncomplicated for our personal service. This is your personal taxes and we take it very seriously. For our small business customers we spend time talking about bookkeeping, what is deductible in your business and what other business tax filings that might pertain to you or your business are. We can discuss if it is time to consider converting your business to an LLC, Partnership or Corporation. Our bookkeeping department can complete your bookkeeping before the tax appointment, or help you with your payroll needs, tax license, sales tax returns or other necessary business filings. We consider one of our most important jobs is keeping you in compliance with all of your business filing requirements. Let us do your monthly or quarterly bookkeeping! Put all receipts, paid bills, and bank statements in an envelope and we will take care of the rest. We will give you a periodic report showing details of each transaction, divided into the proper tax categories, and the receipts organized into separate envelopes. We can custom fit the categories to your household and business needs, separate your income by each source, and print comparative monthly budget reports. 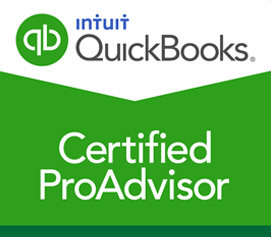 We can also help set-up and manage your QuickBooks. We can help you set-up payroll or just prepare your quarterly reports and year-end W2’s. We are here to help you with any bookkeeping needs you may have.